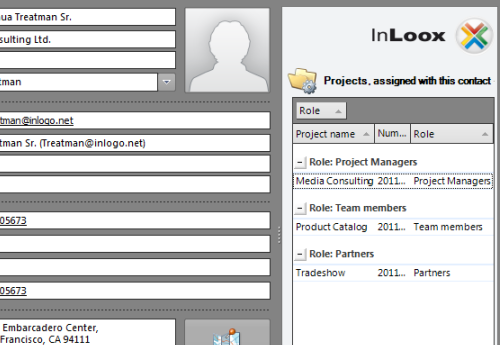 In InLoox PM 7, you can link Outlook contacts with the respective projects. So, you can see in the Outlook address book the role assumed by a certain contact - whether he or she is a project director, team member, customer or partner. Open a contact from your Outlook contact list. How to add the InLoox PM 7 contact button to the quick access panel • Copyright 1999-2019 © InLoox, Inc. All rights reserved.